Traveler Review for Private Tour in Pisa, Tuscany, Italy by Tour Guide Karine L.
Excellent tour and Karine met us at the train station and provided us with transport for our tour. 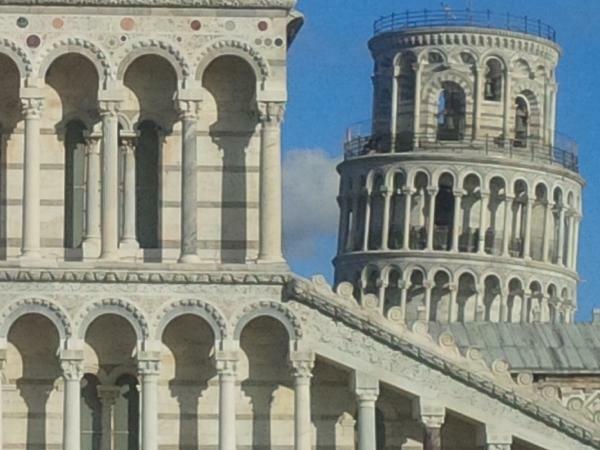 Excellent itinerary that accommodated our wish to visit San Miniato post Pisa. Karine is an excellent guide with a huge depth of knowledge on her historical topics. She also has excellent knowledge of the areas we visited - included the vocals in the Baptism building, plus the organ in the Cathedral + a visit to the cemetery that is only open on specific days. Karine also helped us book a meal and cab. TOUR GUIDE RESPONSE: Dear Suzanne, thank you for having choosing me, it was a pleasure to guide you in Pisa and San Miniato. I hope you have a nice souvenir of my country, and of the truffles of course! Kindest regards. Karine.